Pro-tip for financial executives and billionaire investors: If you want to appear on CNBC on Tuesday, do not give an interview to Bloomberg TV on Monday. CNBC, until recently the only player in the financial television news game, has established a strict, some say ruthless, policy for its guests: Come to us first, or don&apos;t come to us at all. In interviews with POLITICO, current and former CNBC guests, including financial executives from major American companies, said that they had to decline booking requests from rival networks, including Bloomberg TV and Fox Business, due to "CNBC rules." Some said their appearance on a rival network had resulted in CNBC cancelling a previously scheduled booking. 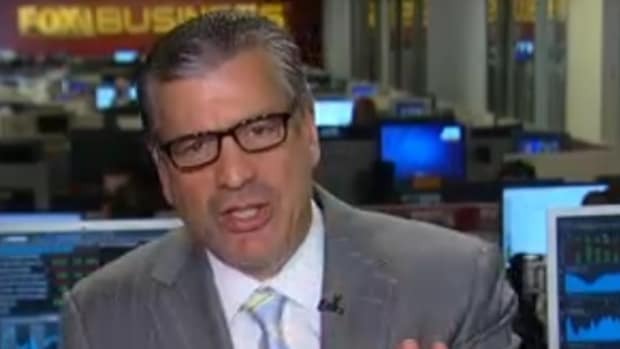 "CNBC always wants to be first, so they will insist on having the first interview or they will not cover you," one financial services executive told POLITICO. "That&apos;s true even if it&apos;s a day later on a totally different topic. It&apos;s juvenile." "If they see you on a competing channel they won&apos;t invite you back for a week or so," said one source who was formerly a regular guest on CNBC. "They&apos;ll call and ask if you&apos;ve been on another network. If you say, &apos;Yes,&apos; then they won&apos;t invite you. If you say, &apos;No,&apos; they&apos;ll book you and ask you to hold a time. But then they might cancel the booking at the last minute. I don&apos;t know of any other channel that does this." The extent of the freeze-out varied, according to sources who had experienced it. Some said it was only for a 24-hour period, others a 48-hour period. One said he was forced to turn-down a Thursday booking with a rival network because he was scheduled to appear on CNBC the Tuesday of that same week.